(CNSNews.com) – The federal government collected a record $1,683,537,000 in individual income taxes in fiscal 2018 (October 2017 through September 2018), according to the Monthly Treasury Statement released today. However, the federal government also ran a deficit of $778,996,000,000 during the fiscal year, according to the statement. 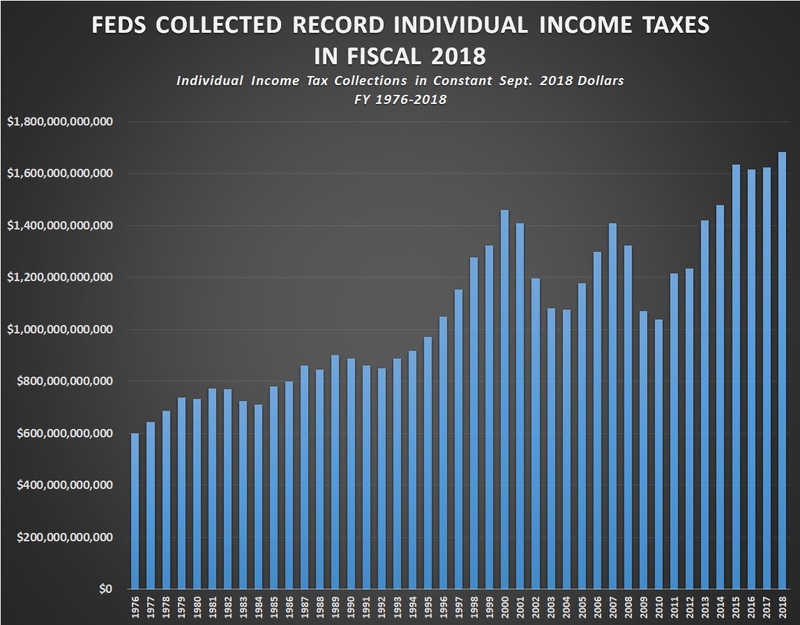 The previous record for individual income tax collections in a fiscal year was in fiscal 2015, when the Treasury collected $1,634,657,240,000 in individual income taxes (in constant September 2018 dollars). The U.S. federal budget deficit rose in fiscal 2018 to the highest level in six years as spending climbed, the Trump administration said Monday.